The Friday before last, 6.1 students received a talk from a representative from the University of Southampton about university applications. We were given an informative talk providing us with guidelines as to how to tackle the UCAS form, personal statement and what universities are looking for in a prospective student. On Saturday we visited the Library where a large number of Old Bedalians who were currently studying, about to study or had finished studying at university were ready to talk to us. The huge variety in subjects and universities represented gave us all the opportunity to discuss our future options and hear about student life from those who are already experiencing it. Both days allowed us to grasp a good knowledge of the universities that are available to us and how we should tackle the application process when the time comes in September. View photos. Block 3 pupils set off on a History tour of the battlefields of Belgium and France (Ypres and The Somme) early on the wet morning of 11 February. Their interest this year had been sharpened by a superb talk from Jeremy Paxman on WW1 the week before and the extensive media coverage of the centenary of the outbreak of the war. With terrible weather resulting in our ferry having to be towed out of Dover by a tug to ensure that it did not hit the harbour walls, we then headed for Ypres. 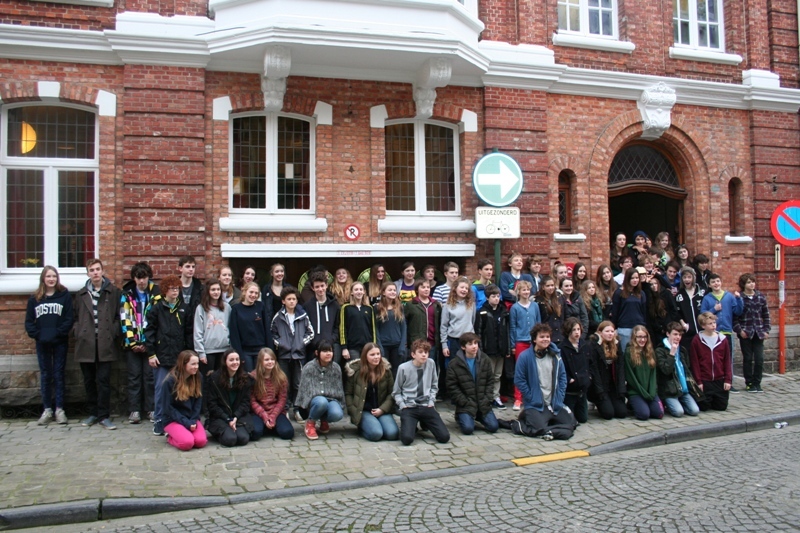 The group settled in to the Salient Hotel before walking to a nearby restaurant for chicken and chips, returning to the hotel for a quiz, where students’ general knowledge impressed us and Nick Meigh’s group won. 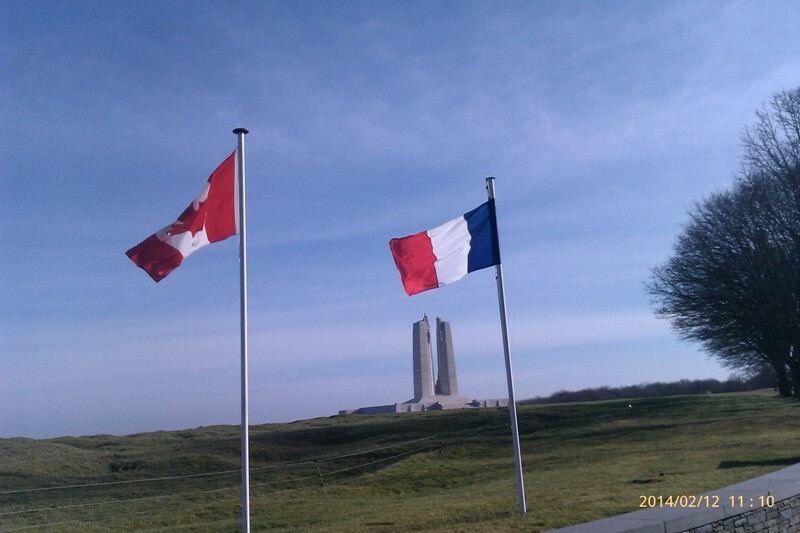 Day two saw us effectively travel down the Western Front, pausing at Notre Dame De Lorette (the French National First World War Cemetery) and the mightily impressive Canadian Monument and trenches at Vimy Ridge. Lunch was spent in the attractive market town of Arras (near where the poet Edward Thomas died) and then we explored the battlefield area of The Somme, visiting Thiepval Memorial, Beaumont-Hamel and Lochnagar Mine Crater in the village of La Boiselle, the weather turning from sunshine to storm force winds. In our party was Maud Bonham-Carter, the great, great granddaughter of Herbert Asquith, Prime Minister of Great Britain at the start of the First World War. Asquith’s son, Raymond had been killed in the war. We were also tracing Bedalians and in an extraordinary coincidence, the grave of Bedalian William Alexander Forbes was found, in the growing darkness of a fading day, directly in front of Raymond Asquith’s grave. We left tributes written on small poppy crosses. We also tracked down the grave of student Minna Whitby’s great, great uncle in a beautiful secluded cemetery surrounded by woodland, Flat Iron Copse. This was a special grave since although there was a headstone, his body was not beneath it but his comrades knew he had been killed in that field and thus he was granted a full memorial. We ate that evening at ‘Le Corner Pub’ in Albert (the pigeon English title a reminder of the war when British troops occupied Albert) returning to Ypres that evening. On day three, we explored the magnificent Cloth Hall Museum, and toured the sites around Ypres, including Tyne Cot Cemetery and Langemarck (the austere atmosphere of the German Cemetery contrasting strongly with the uplifting whiteness of British Commonwealth War Graves). That evening, we attended the moving Last Post Ceremony under the arches of The Menin Gate. Block 3 students Amelia Pike, Olly Brewer and Ed Adams laid a wreath to commemorate the 65 Bedalians who had died in the war. The wreath had been made by the family of Ed Adams. The following morning we headed back to Calais, from where we made our connections to return to Bedales that afternoon. The tour provided a poignant and evocative few days with the manifold issues of the war seeming as bright and powerful as ever, despite the passing of 100 years. View photos. 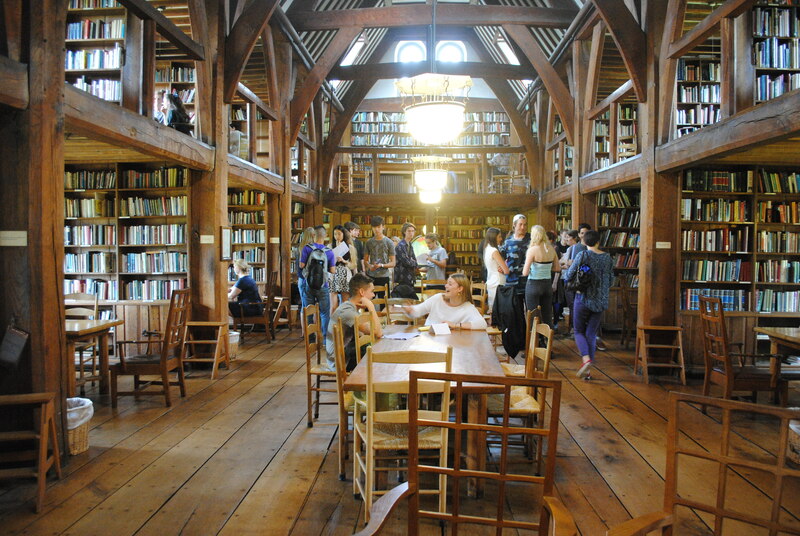 Bedales students were delighted to enjoy a discussion with journalist, broadcaster and author Jeremy Paxman, on his latest BBC documentary about WW1, ‘Britain’s Great War’. Jeremy was invited to attend a special gathering of the School’s History Society entitled ‘The Green Ribbon Club’ in advance of a special battlefields tour for Block 3 students (Year 9) to The Somme ( France) and Ypres (Belgium). The students gained an insight into Jeremy’s book and documentary series and took the opportunity to quiz him on his extensive research and understanding of the Great War. An important part of the student’s tour includes a last post ceremony at The Menin Gate when students will lay a wreath to mark the 65 past pupils at the school who died. The tour also involves tracing relatives of students and visiting the graves of Old Bedalians involved in the war. These events all form part of the school’s broader recognition of the centenary of WW1 culminating in a special service using text from an original sermon written by the school’s founder John Badley. 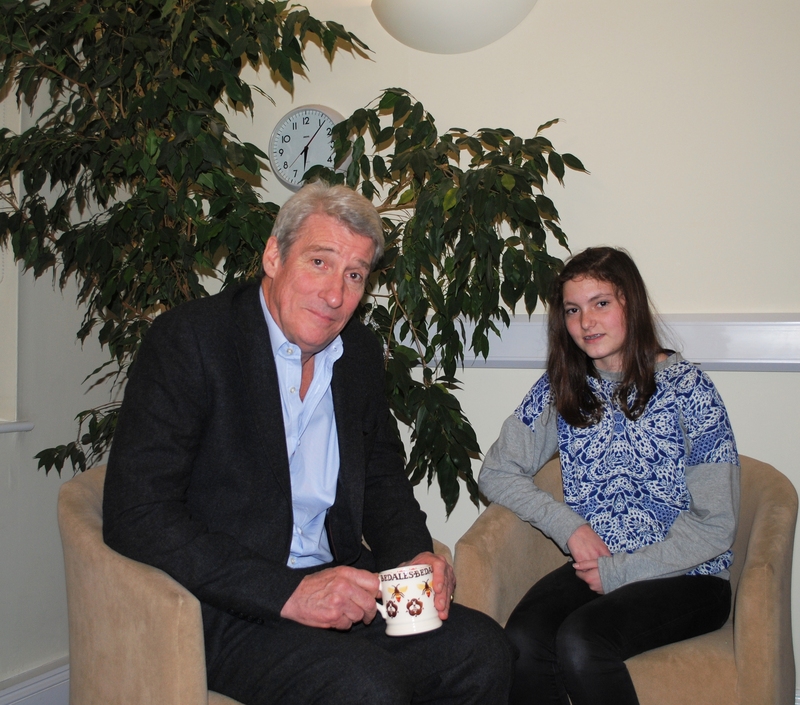 Watch student interview with Jeremy Paxman. Last Friday, 6.1 students attended lectures from university representatives from the University of Southampton to help with our UCAS applications. We were given an informative understanding of how personal statements should be structured and what universities are looking for in them. Our second lecture was a fantastic investigation into terrorism, giving us an idea of how interesting our courses will become at university level. 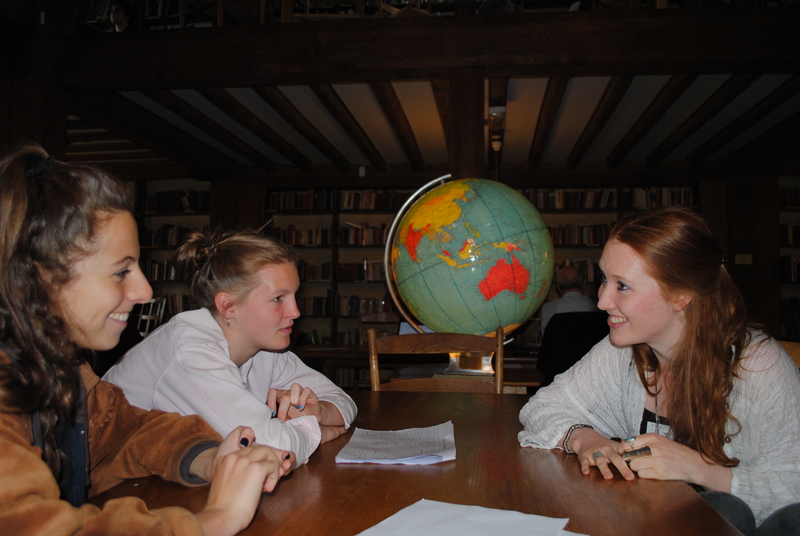 On Saturday we visited the Library where 48 OBs who are currently studying at university were ready to talk to us. The variety in subject and university choices gave us all a chance to discuss our future options with people already experiencing it. The two days gave us good knowledge of the universities and how to achieve places. View photos. Building on Bedales BAFTA pedigree! Congratulations to Old Bedalians Daniel Day-Lewis and Juno Temple for receiving BAFTA awards. Daniel Day-Lewis received a fourth Leading Actor award for his portrayal of Abraham Lincoln and Juno Temple received the Rising Star award. 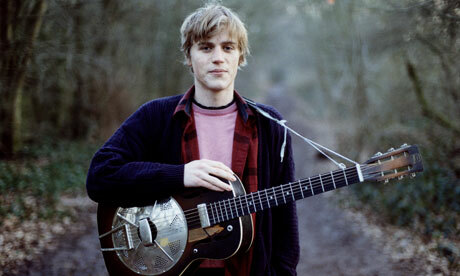 Another OB Johnny Flynn returns to school in July to join an impressive line up of tutors for the Bedales Summer School for adults. Johnny will assist with the Contemporary Songwriting course. Local artist William Pullen will be teaching part of the Watercolour & Landscape course, and is exhibiting at GalleryMuse from 14 February – 16 March. The multi-talented Margaret Stohl will be a tutor for the Creative Writing course. This week the film Beautiful Creatures, which she co-wrote, premiers. Follow @BedalesSummerS on Twitter and visit the website where you can use the new online booking service. Read more. Motion Picture – Drama at the Golden Globes and has been nominated for a BAFTA award (Leading Actor), both for his lead role performance in Steven Spielberg’s Lincoln, in which he portrays former US president Abraham Lincoln. He also is widely tipped to pick up a third Oscar for the role. Read more. Juno Temple (2005-07) has also been nominated for the BAFTA Rising Star award, which is voted on by the public. Read more. Across the pond, Ben Polak (1975 – 80) has been appointed University Provost at Yale with immediate effect. Ben, the first William C. Brainard Professor of Economics, is also a professor of management. He was appointed the chair of the Department of Economics in 2010, and has served on numerous Yale committees. Read more.